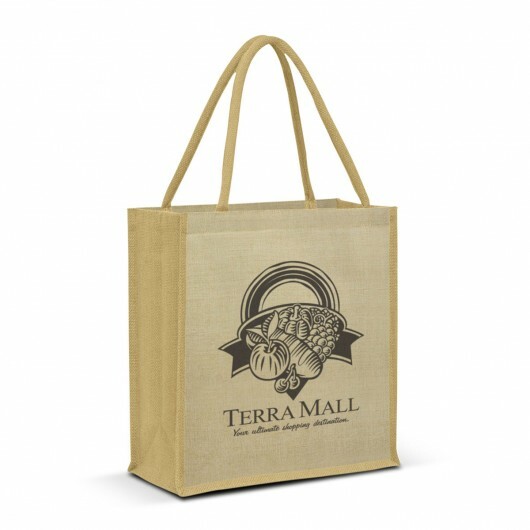 Made from innovative Juco material these totes will enhance your logo. 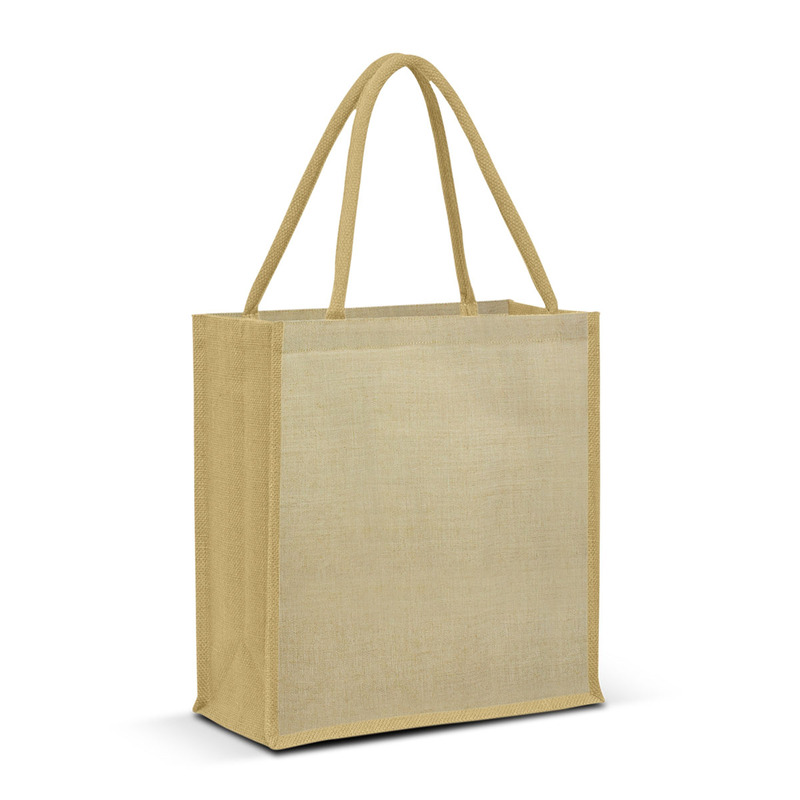 Designed for day to day errands or grocery shopping these Juco material bags are an effective tote. They're environmentally friendly and are large in size with laminated jute material and a jute gusset and base with padded cotton handles. Juco combines the best aspects of jute and cotton to bring you this tote. Dimensions H 420mm x W 380mm x Gusset 200mm (excludes handles) Handle Length: 550mm.